Starving The Watchdog | Hidden Brain When a newspaper shuts down, there are obvious costs to the community it serves: job losses, fewer local stories. But new research suggests there's another consequence that's harder to spot—one that comes with a hefty price tag for residents. This week on Hidden Brain we ask, who bears the cost when nobody wants to pay? For more information about the research in this episode, visit https://n.pr/2zSPraS. < Starving The Watchdog: Who Foots The Bill When Newspapers Disappear? VEDANTAM: ...Millions of people waking up to the thud of a newspaper on their front step. But increasingly, this sounds quaint. Even longtime subscribers, the people who love the feel of a newspaper in their hands as they sip their morning coffee, many have decided to cancel. UNIDENTIFIED PERSON #1: I used to get The Denver Post delivered, even after it was online. I just liked having the paper. But then I found I wasn't actually reading it. They would just kind of pile up, and I'd recycle it. So I let that lapse. VEDANTAM: Denver used to have two vibrant morning papers. In the last few years, many residents stopped getting a local paper. Some switched to reading online. Others never had a subscription in the first place. UNIDENTIFIED PERSON #2: I've never subscribed to a local publication. UNIDENTIFIED PERSON #3: I usually just get the free ones, like Westword. UNIDENTIFIED PERSON #4: Westword, the free one that comes out in the little red bins all over Denver - love the coupons. It's what I wanted the paper for, is the coupons. UNIDENTIFIED PERSON #5: And I mean, Facebook has (laughter) everything, so, yeah. VEDANTAM: ...Except it doesn't. That's because newspapers are not like most things we buy. If I decide not to buy a watch, I save money. But if I decide not to pay for a police department, I might save money in the short run but end up paying more in the long run. Most of us treat newspapers like consumer products, but new research suggests they might be more like police departments. This week on HIDDEN BRAIN - who bears the cost when nobody wants to pay? VEDANTAM: In the winter of 2009, a few Denver-based reporters headed to a region of mountains and canyons called the Roan Plateau. Just a few years earlier, it was the site of an oil and gas boom. But that boom had turned into a bust. LAURA FRANK: So we were going up the Roan Plateau, where many fewer workers were employed, and looking at how people were struggling to try to keep things going and make ends meet. VEDANTAM: Laura Frank was an investigative reporter for the Rocky Mountain News. FRANK: We were riding up with some of the oil and gas workers, trying to get up the plateau. It had rained, and so the dirt road going up the plateau had turned, really, into kind of a muddy mess. And here we are sliding in this pickup truck, trying to get up the plateau when suddenly we see these semitrucks coming down the same road and not sure what kind of control they were under. And I'm thinking, why am I risking my life for a newspaper that's about to close (laughter)? VEDANTAM: A newspaper that was about to close. Laura was worried about the Rocky. Several weeks earlier, a balding man in a suit had stood in the middle of her newsroom. Reporters and editors clustered around in a circle. Many had their arms crossed. Some scribbled in notebooks. UNIDENTIFIED PERSON #6: This is a newsroom, so I doubt I actually need to give you the headline. Most of you probably already know, but we're going to announce just in the next few minutes that we're going to put the Rocky Mountain News up for sale. VEDANTAM: Laura had listened to the announcement with dismay. FRANK: The newspaper was going to either be sold in the next 30 days, or it would be closed. And if you remember what was happening in December of 2008, we knew we were on the verge either of a Great Recession or the next Great Depression, so I was pretty sure that they probably weren't going to sell the newspaper over the holidays, in 30 days, when no one knew what the economic outlook was really going to be. VEDANTAM: Days after her reporting trip to the Roan Plateau, Laura got word about her fate at the Rocky. FRANK: The corporate managers had flown in. And, you know, you're in a big and sophisticated newsroom. We knew they had landed. People had sources at the airport (laughter). We knew they were there. And we pretty much knew what they were going to say. VEDANTAM: The same balding man in a suit gathered journalists around him. UNIDENTIFIED PERSON #6: Tomorrow will be the final edition of the Rocky Mountain News - certainly not good news for any of you, and certainly not good news for Denver. I just want to make sure and say, it's certainly nothing you did. You all did everything right. But while you were out doing your part, the business model and the economy changed, and the Rocky became a victim of that. Denver can't support two newspapers any longer, especially two morning, full-distribution, general-interest newspapers. It just can't happen. FRANK: It was very hard to leave that night. I remember sitting at my desk for a very long time, just sitting there, and not - you know, I was finished. There was nothing more (laughter) I could do. But I didn't want to walk out of there. VEDANTAM: The story about the oil and gas bust that Laura had spent weeks working on - it was scheduled to run that Saturday. The Rocky closed one day earlier - on Friday. VEDANTAM: When Laura left the Rocky newsroom for the last time, she was concerned about her own future, but she was even more concerned about the work she had left undone. FRANK: I had all of these stacks of documents on my desk at the Rocky Mountain News, each representing some issue that I thought needed investigating. VEDANTAM: One of those issues was electronics waste, or e-waste. FRANK: The very week that the Rocky Mountain News closed, that last week of February, in 2009, federal agents had raided an electronics recycler. VEDANTAM: That raid came after a dramatic investigation by "60 Minutes." SCOTT PELLEY: Tonight, we're going to take you to one of the most toxic places on Earth, a place that government officials and gangsters don't want you to see. FRANK: A "60 Minutes" investigation alleged this company had sent e-waste to China, where people were dipping parts in acid and burning them over open flames to get little bits of gold and other metals. And they were exposing the village to dangerous levels of lead. In fact, 70 percent of the kids in that village had dangerous levels of lead in their blood. So here you had an ongoing federal investigation into the role a Colorado company allegedly played in endangering kids in a foreign nation, and my newspaper (laughter) was shutting down. We couldn't investigate, but the worst thing was no other local media had the capacity to investigate it either. VEDANTAM: What happens when a newspaper isn't around to dig into stories of corruption and malfeasance? Like millions of people around the country, Denver's residents decided not to subscribe to their local newspaper for what seemed like perfectly good reasons. They were busy. The news was depressing. The paper was expensive. But these rational choices as consumers turned out to have serious consequences for them as taxpayers and citizens. Stay with us. VEDANTAM: There's a graph that I saw years ago that stood out to me so much that I now have it pinned to the wall in my office. It has a red line and a blue line. The red represents newspaper advertising revenue. The blue shows the number of newspaper reporters in the country. From 1980 to the early 2000s, ad revenue, the red line, rose and rose and rose. It peaked in the early 2000s. Then there was a cliff. As people canceled subscriptions and advertising revenue plummeted, so did the number of reporters - the blue line. Between 2006 and 2014, some 20,000 newspaper journalists lost their jobs. Now, you can say this is how capitalism works; industries shrink, others grow. But is it possible that newspapers don't fit neatly into this economic model, that they have a different kind of effect on their communities? Finance professors Paul Gao, Dermot Murphy and Chang Lee were thinking about the effect of newspapers shutting down when they spotted something on YouTube. DERMOT MURPHY: We were watching this segment from this TV show called "Last Week Tonight With John Oliver" about the state of the local newspaper in the United States. VEDANTAM: This is Dermot Murphy. John Oliver was explaining what Americans lose when newspapers disappear. JOHN OLIVER: Watch how often TV news ends up citing print sources. OLIVER: It's pretty obvious, without newspapers around to cite, TV news would just be Wolf Blitzer endlessly batting a ball of yarn around. MURPHY: So as finance professors, we thought it would be important to look at the effect of newspaper closures on local communities from the finance angle. VEDANTAM: The researchers had a hunch that the loss of newspaper jobs could affect municipal finance. Now, that sounds wonky, but let me explain why this is actually a big deal. Just as you borrow money from a bank to buy a house, towns and cities borrow money to build police stations, senior centers and bridges. Taxpayers pay off these loans over time, just as homeowners pay off their mortgages. Dermot thought there might be a relationship between the cost of loans to cities and towns and disappearing newspapers. The researchers tallied every time a newspaper shut down between 1996 and 2015. They found 200 counties across the United States where there was a decline in the number of newspapers. They compared these counties to similar counties in the same state where newspapers were thriving. MURPHY: Once we had this information collected, we were able to see, basically, how government borrowing costs increase in the long run after a newspaper closure. VEDANTAM: Dermot and his colleagues found that when a newspaper closed, the cost of loans in its county went up. This happened all over the country, including in Denver, home of the now-closed Rocky Mountain News. Dermot says one deceptively tiny number tells a significant story. MURPHY: In the long run, after a newspaper closes, the borrowing cost for governments increases by about 0.1 percent. VEDANTAM: Now, the interest rate on a loan increasing from, say, 3 percent to 3.1 percent may not sound like much. But here's how it adds up. VEDANTAM: If the cost of a loan goes up by 0.1, that's about $65,000 more that taxpayers have to pay - $65,000 more every year. If the life of a loan is 10 years, that's about $650,000. And that's just for one loan. Cities and towns often have many loans like this. If a city has five projects, that's more than $3 million. If it has 50 projects, it's more than $30 million. MURPHY: That does add up to real costs for the taxpayer. VEDANTAM: The effects showed up even after the researchers controlled for population growth and differences in local economies. It affected areas that were booming and areas that were shrinking. Dermot thinks that borrowing costs go up because something important disappears when newspapers close. VEDANTAM: The watchdog role that journalists play in holding public officials and powerful corporations accountable. When a newspaper closes or slashes its reporting staff, there's no one to play that role anymore. It's like getting rid of the police officers who patrol neighborhoods. Elected officials appear to know this. When The Denver Post announced cuts in 2018, this report popped up in the news. UNIDENTIFIED REPORTER #15: Another lawmaker joked about the cuts, saying, hey, that means we can do whatever we want because fewer of the newspapers' resources may go to the watchdog role of covering lawmakers at the Capitol. VEDANTAM: Dermot thinks the absence of watchdogs affects loan prices because banks realize their loans to local governments are now a little more risky. They know that some government officials will now be a little less honest, a little less careful. MURPHY: Lenders are a little more nervous about lending to such a government. And so when a lender is more nervous about lending to an inefficient government, then they're going to have to ask for a higher interest rate on the money they're lending to compensate for that risk. VEDANTAM: John Oliver had a similar theory, but he put it a little differently. OLIVER: Not having reporters at government meetings is like a teacher leaving her room of seventh-graders to supervise themselves. Best-case scenario - Brittany (ph) gets gum in her hair. Worst-case scenario - you no longer have a school. VEDANTAM: You might be thinking here, OK, a lot of newspapers have closed, but there are now so many online publications. But these outlets do not appear to be an adequate replacement for a strong local newspaper. They are like having a community neighborhood watch. It's a wonderful complement to a police department, but it's not a replacement for a police department. MURPHY: If the Internet is filling in the gap left by local newspaper closures, then we wouldn't see borrowing costs go up like they are. We could even see them go down. VEDANTAM: David Simon used to be a reporter at The Baltimore Sun. He also created the TV series "The Wire." About a decade ago, he made a dire prediction, as newspaper after newspaper laid off reporters. He testified before the U.S. Senate and said that online publications were not going to cover goings-on at city hall and in state government. SIMON: That means that, all of a sudden, there's nobody covering the cop shop, nobody covering the zoning board. The day I run into a Huffington Post reporter at a Baltimore zoning board hearing is the day that I will be confident that we've actually reached some sort of equilibrium. The next 10 or 15 years in this country are going to be a halcyon era for state and local political corruption. It is going to be one of the great times to be a corrupt politician. VEDANTAM: Legislators laughed, but David Simon was serious. He predicted that closing newspapers would lead to more corruption. We can see hints of this in Denver. While we can't know what would have happened if the Rocky was still around, some stories of corruption and wrongdoing might have surfaced earlier if there were reporters to keep an eye on things. UNIDENTIFIED PERSON #8: From 7 News, this is a CALL7 Investigators special presentation. UNIDENTIFIED REPORTER #16: Mr. Asay, do you think you ought to go to jail for this, for cheating taxpayers in Adams County? UNIDENTIFIED REPORTER #17: Rogers believes she was fired for being a whistleblower, helping her friend Michelle Edwardson, an animal control officer, write a complaint about then-Chief of Police John Patterson. UNIDENTIFIED REPORTER #18: We uncovered that DHS caseworker Rotchana Madera, who was assigned to the case, never met with the family to make sure the baby was safe. And then she lied about it. Sixty days later, Natalie was dead. VEDANTAM: Remember; these are the stories that did get out eventually. We don't know what stories didn't make it out. While Dermot's study looked at the financial effects of newspaper closures, you can imagine all kinds of other things that are affected when a newspaper closes - public health, the environment, political engagement. It's this last area that Stanford economist Matthew Gentzkow has studied. He has examined how newspapers prior to the advent of radio and TV affected voter turnout. MATTHEW GENTZKOW: You find that there are large, positive effects of newspaper entry on turnout. So if you look at places where a newspaper entered, turnout increases in the following election. If you look at a place where a newspaper exited, turnout falls in the following election. VEDANTAM: Matthew and his co-authors wanted to see if the results changed once radio and TV entered the picture. GENTZKOW: The pattern is kind of interesting. I think what you see is that the role of newspapers in driving presidential election turnout gets smaller, as you might expect, given that now you no longer have to depend on newspapers - there are lots of other sources - whereas the role of newspapers in driving congressional election turnout, local election turnout or state-level turnout remains large throughout that period. VEDANTAM: The reason - if you want to learn about the presidential election, you won't have trouble finding information on cable TV. But those national sources are not going to help you learn what's happening in your state or county or city. GENTZKOW: If you're trying to learn about the local congressional race in a particular district in Kansas, you can't learn anything about that from watching CNN. You can't learn anything about that from watching Fox News. And so the local newspaper in that part of Kansas is likely to be reporting a bunch of information about those races that is not reported almost anywhere else. GENTZKOW: They remain incredibly important and unique in many, many places in terms of coverage of local politics and local elections. VEDANTAM: It is local papers that have been decimated over the past two decades, and turnout in local elections looks no better. Portland State University found that in 10 of America's 30 largest cities, fewer than 15 percent of voters turned out to vote for mayor. Let me repeat that - fewer than 15 percent. That makes turnout in the 2016 presidential election, 61 percent of eligible voters, seem sky high. For a variety of reasons, some of which we might not understand, newspapers appear to be vital to the civic and financial health of their cities, just like public schools or libraries or fire departments. But unlike those other services, newspapers are also private entities that must succeed financially in order to survive. In some parts of the world, taxpayers finance public interest journalism in the same way they pay for national defense, highways and police. But Laura Frank, the former investigative reporter at the Rocky, says it's a bad idea for newspapers to get money from the government. FRANK: If a big part of the watchdog role that the Fourth Estate has is making sure that different levels of government are operating in a healthy and good way, we can't be dependent on those same levels of government to fund what we're doing. VEDANTAM: Some newspapers are looking to individuals with deep pockets. Wealthy entrepreneurs have bought newspapers like The Washington Post and the Los Angeles Times. Each is seeing a sort of renaissance. They've hired dozens of journalists. There's also been growth in public radio. Many local stations are expanding coverage. And then there are nonprofits. After the Rocky shut down, Laura started her own journalism outlet. FRANK: I wound up actually being given a fellowship at the University of Colorado - ironically, the Scripps Fellowship, named for the same family that owned the Rocky. VEDANTAM: She used the Scripps money to create an organization called I-News. FRANK: And the I stood for investigative, and the idea was that we would do investigative stories and share them with other newsrooms, and that's what we did. VEDANTAM: Remember the story about e-waste that Laura never got to finish when she was at the Rocky? FRANK: That was the first story. I put a reporter on the story who spoke Mandarin and using some different - a couple of different databases, we were able to track a shipment of e-waste from Colorado to Hong Kong. And our reporter was then able to confirm that this e-waste had been illegally exported. And that would have been an important story if we had stopped right there to say, you know, despite an ongoing federal investigation, illegal e-waste is still being exported to foreign nations. But we didn't stop there. We found that some of the same kinds of dangerous practices that were happening in China and Hong Kong, like dipping parts in acid and burning them over open flames, it was happening right here in Colorado on a much smaller scale but completely under the radar of state regulators. They had no idea it was happening. And so that would have been an important part of the story. But we didn't stop there either. We found that most of Colorado's used electronic waste was actually winding up in local dumps instead of being recycled. And, again, I feel like one of those commercials - but that's not all. We didn't stop there. We found much of the e-waste that was being illegally exported, locally dumped or dipped and burned in Coloradans' backyards was actually coming from government surplus auctions. In fact, the very state agency responsible for regulating e-waste was sending its own trash electronics to auction. VEDANTAM: They shared their reporting with news outlets across Colorado. UNIDENTIFIED REPORTER #20: Some of the government's trash computers wind up being shipped to developing nations, sent to the local dump and even dismantled here in people's backyards and garages. VEDANTAM: The response was even greater than if the story had been published in just one newspaper. FRANK: Because of the way we were approaching this in a collaborative way instead of a competitive way, the story of Colorado's e-waste went from being a story that no media had the capacity to cover to a story that every major news outlet could share with their audience. It was in every daily paper. It was on television. It was on the radio. So suddenly, we had this, you know, statewide conversation about what was actually happening to Colorado's e-waste. And that had never happened before. And the state legislature then moved to close some of the loopholes that were allowing this to happen. So that's - you know, that's the way the Fourth Estate in a democracy is supposed to work. VEDANTAM: This is clearly a success story. Laura lost her job at the Rocky, but that led her to set up I-News. She got stories like the e-waste investigation out to the public. The government made changes to the program in response. But Laura still thinks there is an immense cost when a newspaper closes. FRANK: It took two years for us to get the story out. So how many children were exposed and wound up with high levels of lead in their blood while we were trying to figure out a way to get the story out? Yes, I think when there's a really important story that a journalist somehow finds out about, it will eventually get out. But, my God, who was harmed while we waited? And those are only the stories we know are going untold. It's the unknown unknown that is also very worrisome to me. VEDANTAM: One of the bedrock assumptions of economics is that when individuals behave rationally, good things happen to them, good things happen to their communities, their society. The invisible hand of the market takes all of our rational, selfish decisions and produces a society that flourishes. Much of the time, this does work. But it turns out that for things like police departments, public schools and newspapers, the logic of the market doesn't produce the outcomes we want to see. We can all end up paying more when we all try individually to pay less. Many experts have tried to think of ways communities can solve problems that market forces don't solve on their own. How do you get people to pitch in even when it's in their rational self-interest to free ride off of others? These solutions begin with the same insight. Sometimes when you try and pinch pennies, you end up paying in pounds. VEDANTAM: This episode was produced by Rhaina Cohen and edited by Tara Boyle. Our team includes Jenny Schmidt, Parth Shah, Thomas Lu, Laura Kwerel and Camila Vargas Restrepo. Special thanks to producer Meredith Turk for getting us the voices of the Denver residents you heard at the top of the show. Our unsung hero this week is a mentor of mine, Arlene Morgan. Arlene was an editor and recruiter at The Philadelphia Inquirer who took a chance on me some 25 years ago. She believed in great journalism, and she also believed that in order to get great journalism, you need to invest in recruiting, training and developing a diverse pool of journalists. I owe the start of my career as a newspaper journalist to Arlene. That work forms the foundation of what I do today at HIDDEN BRAIN. Thanks, Arlene. If the ideas in this episode spoke to you, please consider making a donation to your local public radio station. As newspapers have shut down around the country, public radio stations have increasingly found themselves on the front lines of local coverage and investigative journalism. 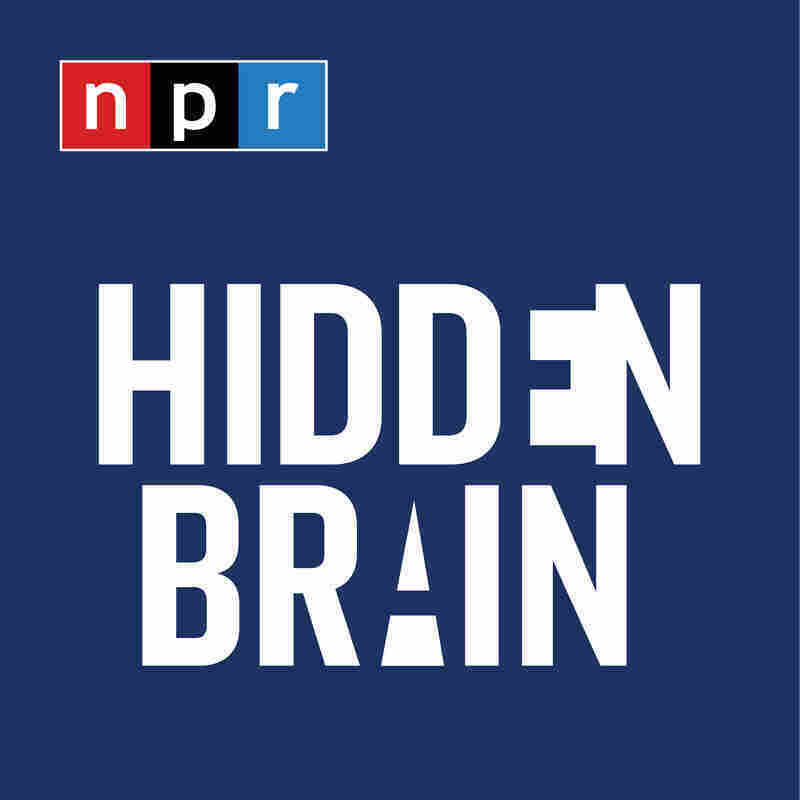 To make a contribution, please go to donate.npr.org/hiddenbrain. Again, that's donate.npr.org/hiddenbrain. And thanks. You can find more HIDDEN BRAIN on Facebook and Twitter. If you liked the show, please tell one friend today about this episode. I'm Shankar Vedantam. See you next week.